Holly House Dental offers services to patients seeking dentists in Bredbury from their modern practice situated just off the M60. As one of the premier dental surgeries in Bredbury, we offer a comprehensive service to meet all your dental needs. We provide the highest quality of treatment in the friendly environment of our practice. We know that going to the dentist in Bredbury – just like anywhere else – can be difficult for some people, but we aim to put you at your ease and answer any questions you may have. Our dentists in Bredbury work hard to keep up-to-date with modern dental advances allowing us to offer you the best dental advice. We have a complete dental hygiene service to keep your teeth in good health and encourage preventative measure to avoid gum disease and tooth decay. In addition to our standard dental services, we offer a range of specialist dental work. 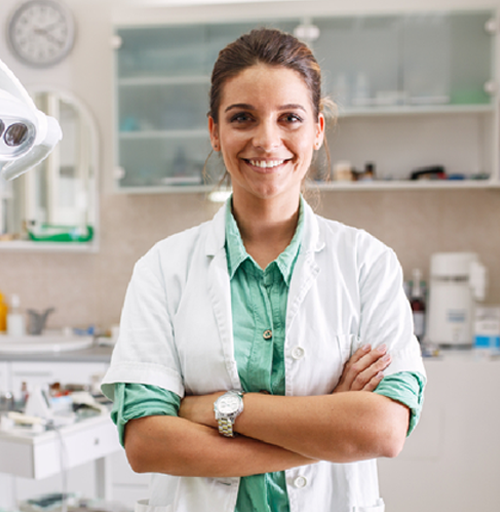 Our staff includes dentists who have undertaken extra qualifications to bring you specialist services in Bredbury that you would otherwise have to find a specialist practice for. We have dentists qualified in orthodontics (tooth straightening), periodontics (gum disease), prosthodontics (replacement of teeth with implants, dentures, bridges and crowns) as well as a strong staff that includes dental hygienists and dental nurses. We offer both routine and cosmetic services to our patients. Even if you haven’t seen the dentist for a while, we’re sure we can help turn things around and get your teeth looking better than ever before.